Hey y'all! This past weekend I was super productive and went through all of our closets, drawers, storage totes, etc. and organized! I feel so much better after, don't y'all when you organize your things? With the new year, I wanted a clean house. And I don't mean straightened up for company coming over clean. 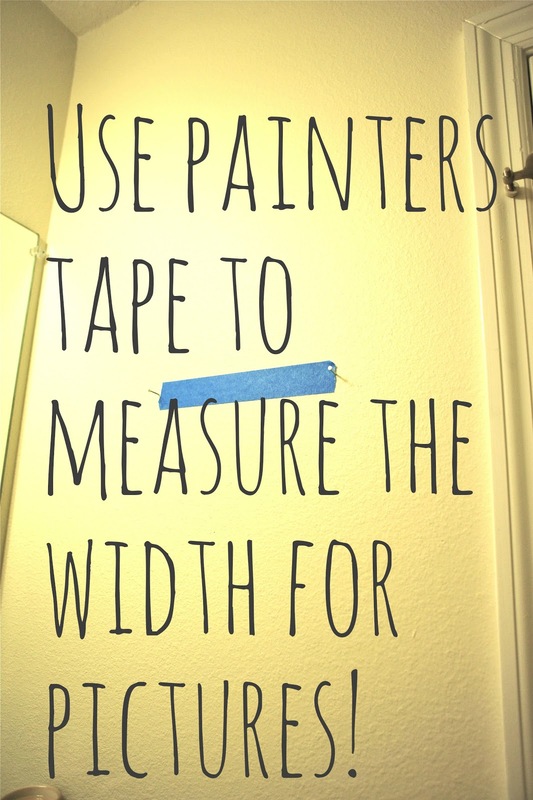 I mean, wipe all base boards down, all ceiling fans down, vacuum every nook and cranny... etc. So that is exactly what I did! 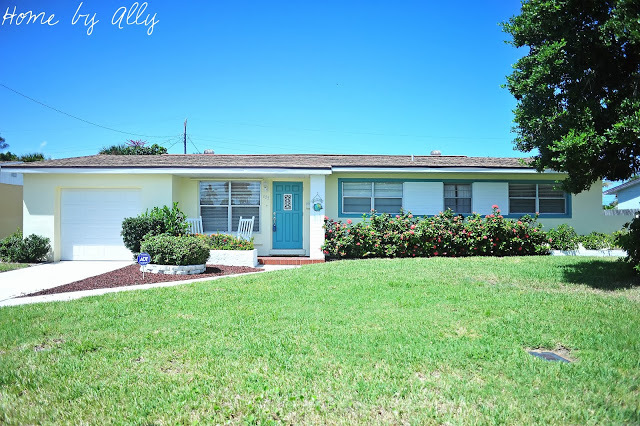 I have been desperately wanting to get every room done in our home since we moved in just over 5 months ago... but I am slowly (snail speed guys) trying to focus on ONE room at a time. Just one! You heard that right! 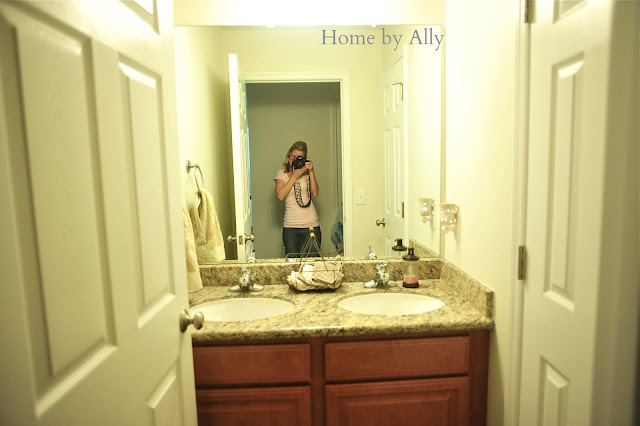 And what better way to start than the smallest room of the house besides the closets, the guest bathroom. Our guest bathroom is off of the upstairs hallway. You walk up our stairs and round the corner and it is to your immediate right. 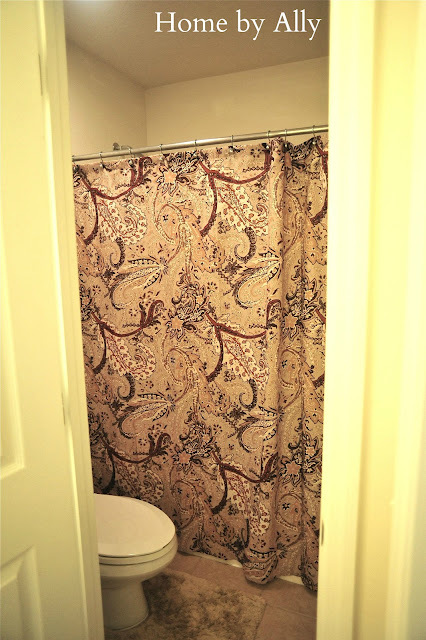 Since we had company so quickly after our move, I found the most decent shower curtain I could find at Target one night and threw it in there with some towels I happen to have that "sorta" matched. Here's a before for y'all. Hello! That's me in the mirror! Ok, so boring and no life. The shower curtain was pretty but not what I would usually choose. 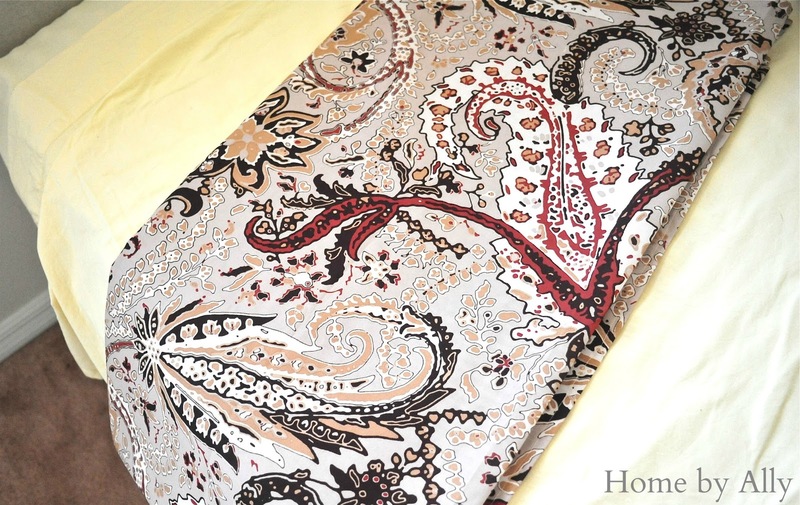 Maroons, golds, chocolate browns and beige. I'll be selling this one as well considering it's practical brand new, was only hung for looks ;-) Are y'all ready for the repurpose sale yet? I am still working on pieces and getting new pieces in every other day! It's never ending! But...we're not here to talk about that ;-) Let me show you a few in between photos. Below is a photo of my inspiration. I found the shower curtain in TjMaxx here. It caught my eye because it was so fresh looking! And not my usually WHITE or BEIGE. I usually NEVER decorate with pink, weird right? But I especially love the bright green and the pink in this shower curtain! 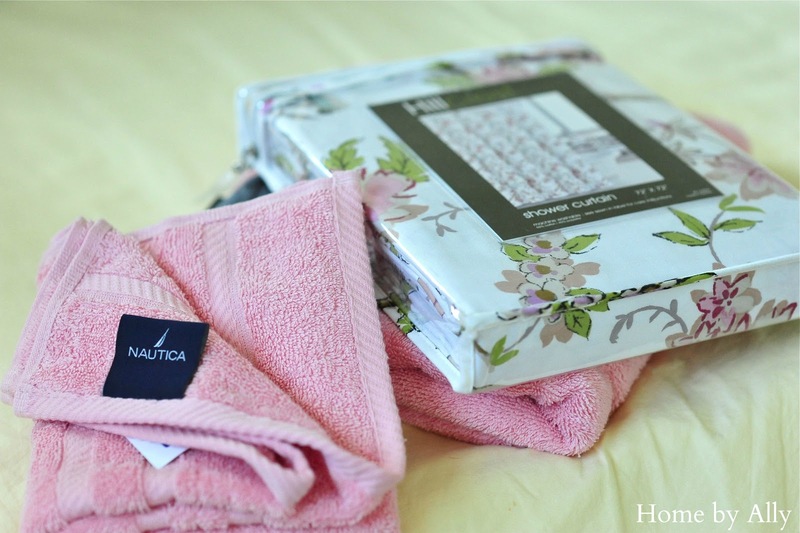 I snatched up a few Nautica Towels to try with it and headed on my way. Alrighty! So are y'all ready for the refreshed guest bath? 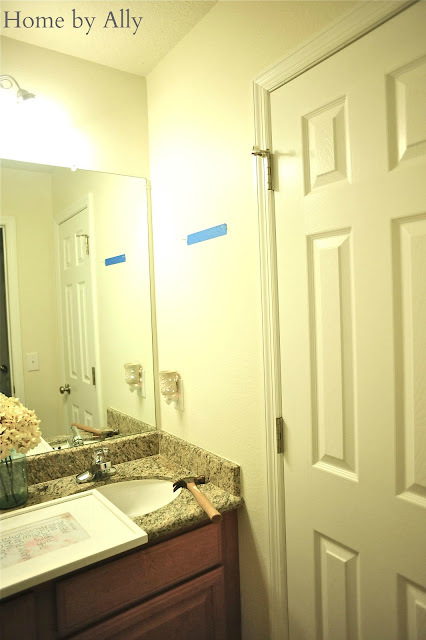 I still have a few minor tweaks for this bathroom but for now, I am definitely enjoying it a lot more! Please enjoy! I am seriously in love with this print. I keep walking by and turning the light on just to look. It is just so refreshing, happy and bright. And color. Oh color. 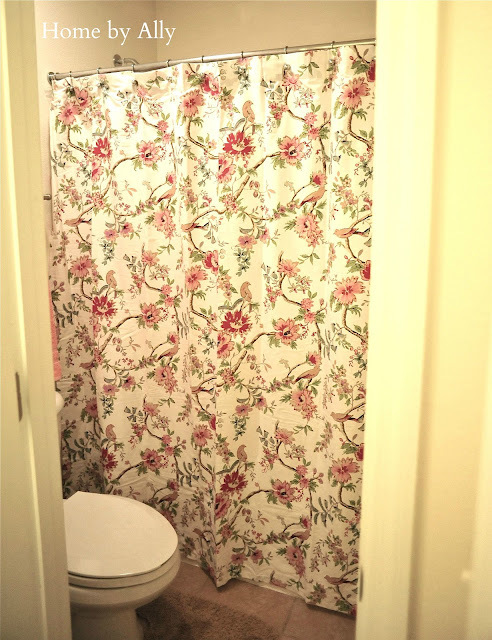 A better view of the shower curtain below. 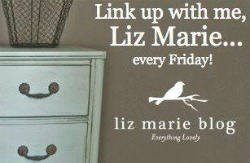 Little birds, twigs and beautiful flowers in greys, hot and light pinks, lime green and darker sage green... equals yummy! I already know that I will be getting new towels for all of this but I used what I had in the linen closet just for the photos. It doesn't have to be perfect to be beautiful! I really wanna add some green in those towels! I'll keep y'all updated! The mirror below is from Hobby Lobby. 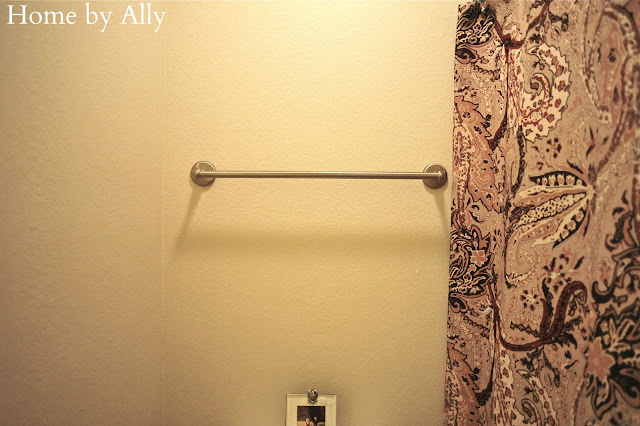 I used chrome shower curtain hooks I already had. 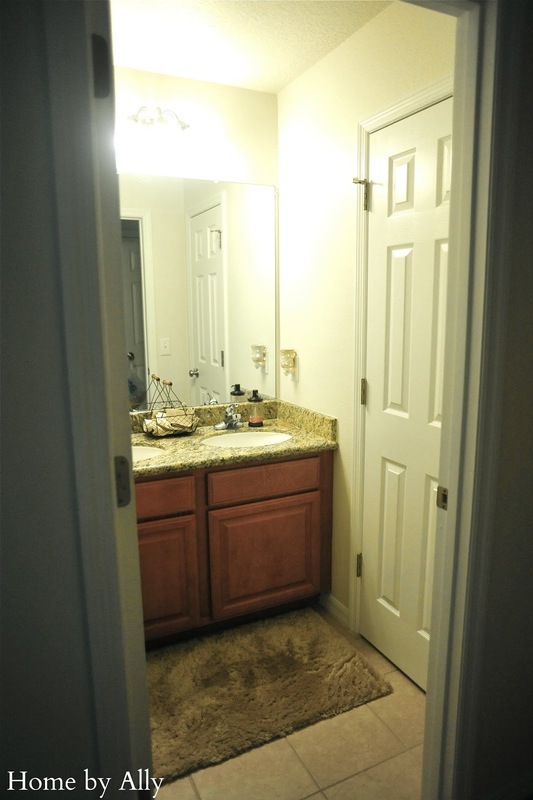 The mirror is directly across from the towel bar. 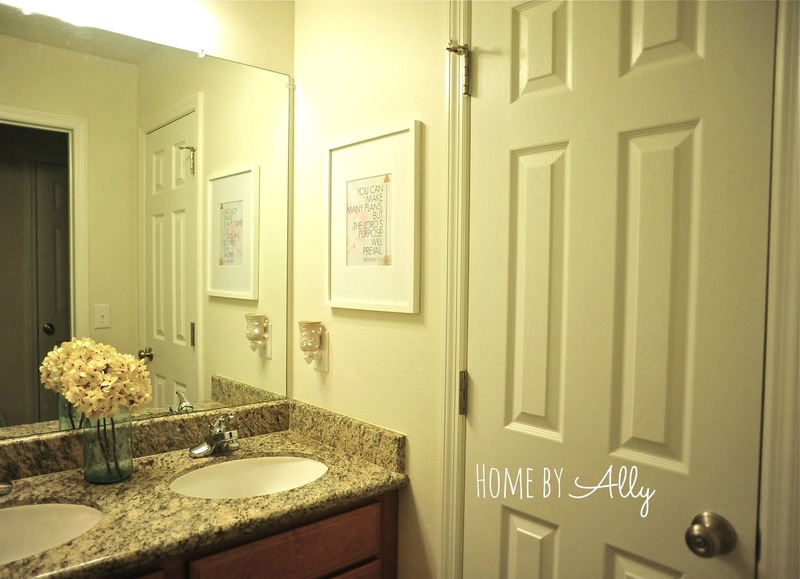 I want to add something above the towel bar too, maybe a quote sign or little iron decor. We will see... things are never done around here! 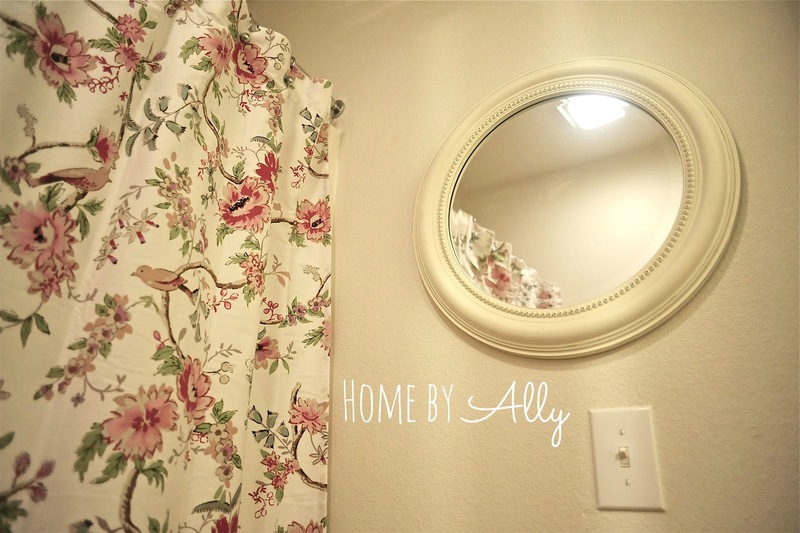 If you loved my new updated and refreshed bathroom, feel free to "Pin it" on Pinterest. 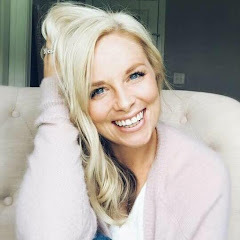 You can follow me on Pinterest by clicking here and clicking "Follow All." 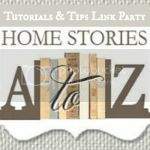 An easy way that I am working on is to simply click "Pin it" below. Pick any photo you like but I created one especially for you below the "pin it" button! Enjoy and thanks for listening! 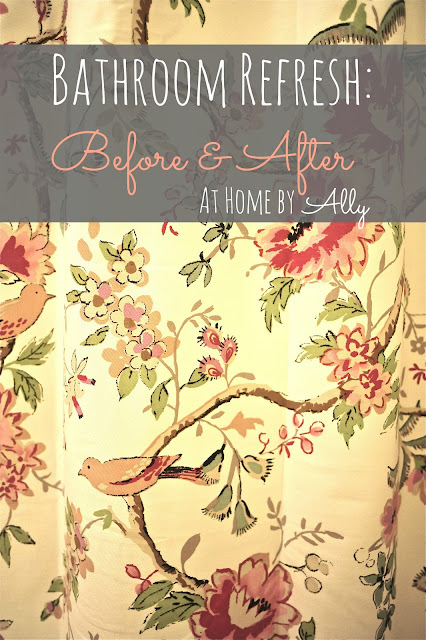 What a difference that shower curtain makes! It really livens up the space! 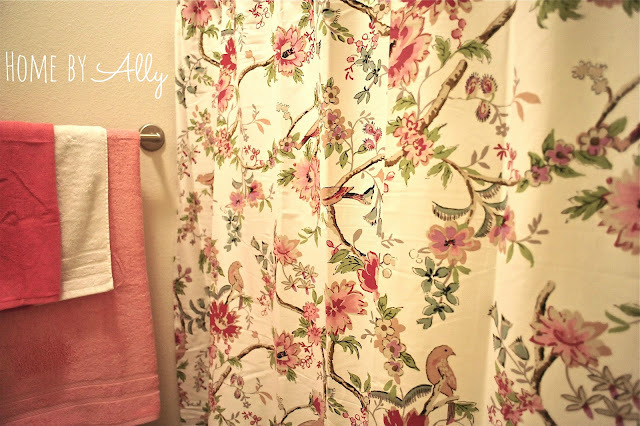 I'm not normally a pink girl but I am loving that shower curtain, Ally! The space looks amazing! Good job! Love everything you do Ally! I am not a pink girl either, but love that shower curtain!! 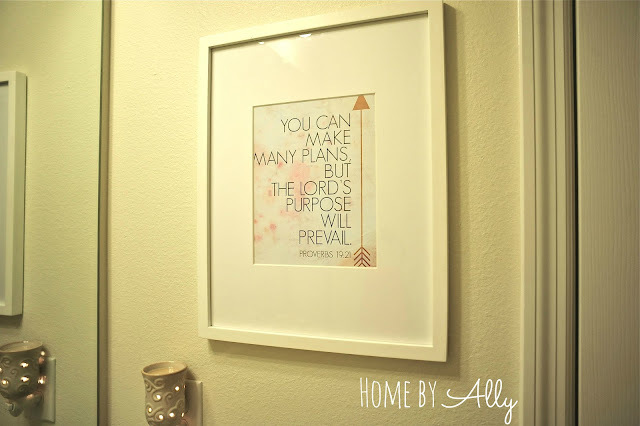 Thanks for the tutorial on the picture hanging. I am so bad about just eyeballing and then having to redo....I even have the tape now, bought for another project and now something else to use it for. :) Thanks for sharing!! Raised in Cotton Frames giveaway! DIY Easiest Burlap $5.00 wreath tutorial!